requirements or special product orders. Copyrights: The photographs produced by AndreaEL Photography are protected by New Zealand Copyright Law (all rights reserved). If the CLIENT has purchased the “Image" from the Photographer, upon final payment by the CLIENT, limited copyright ownership of the resulting images will be transferred to the CLIENT. 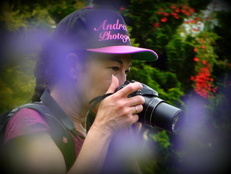 If the CLIENT has purchased an “Image” from the Photographer, the Photographer grants the CLIENT permission to share the images on social networking websites, with family and friends, print and frame the photos and use them for personal use and on vendor websites as long as the images remain unaltered and textual credit is explicitly given to the Photographer. The CLIENT must obtain written permission from the Photographer prior to publishing or selling any of the photographs. Model/Property Release and full contract and details will be provided to the client prior to the photo shoot. Please do not hesitate to contact me if you have any questions or would like a quote.